ES Broadcast periodically hosts events which are designed to help you to investigate new broadcast technology, take advantage of the expertise of experts both from our team and from our partner manufacturers, and meet and network with fellow peers from within the industry. You can find details of any forthcoming events on this page. 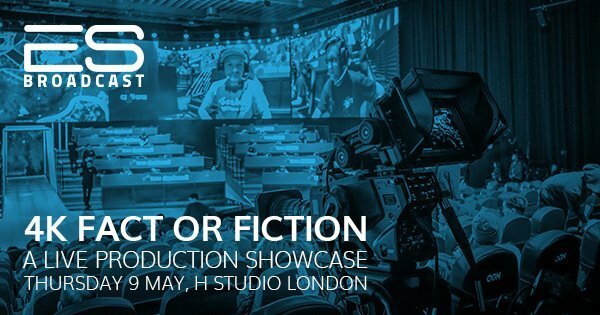 Join ES Broadcast at h Studio London (formerly The Hospital Club Studios) on Thursday 9 May for a 4K live production showcase featuring the latest UHD equipment from some of the biggest brands in broadcast. With an extensive line-up of solutions suited to studio, OB, live production and pro AV applications, the event is a definitive opportunity to test out new equipment and to speak to experts from manufacturers and ES Broadcast about which technology is the best fit for your business. And for those who aren’t travelling to Las Vegas for NAB, there will be ample chance to discuss new products announced at the show. The event will run from 4:00pm to 9:00pm, and attendance is free. There will be plenty of opportunity to socialise with peers, and drinks and light bites will be provided. Guests are welcome to drop in at a time that suits them, but we do ask that you register in advance using the form below to help with planning. Please feel free to share this information with colleagues who may be interested in attending.